With a group or large family traveling? Then this holiday home is ideal! The characterful and modern holiday home has a jacuzzi and tennis court! A moment of boredom is not included! A new section has been added to the original house. Authentic details of the house have been preserved, making the interior very attractive. The dining area is particularly light through the large windows and overlooks the garden. Enjoy barbecue on the beautiful evening sun on the terrace. The tennis court is next to the garden! There is a setup pool (3.60m diameter, 0.80 deep) for the hot summer days. 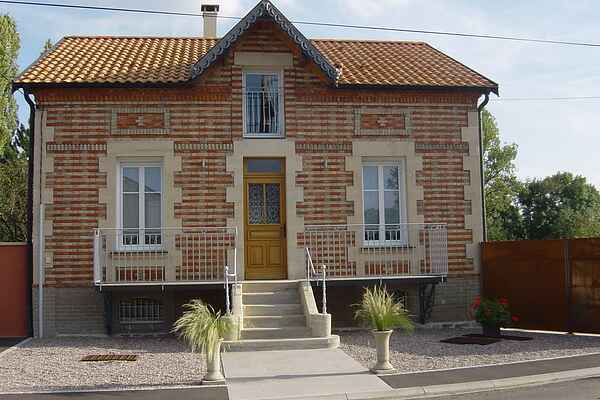 The house is located on the edge of the small village of Horville-en-Ornois, surrounded by meadows. In the surrounding area are many forests where you can make long walks. For groceries you can go to Grondrecout-le-Château (4 km), a cozy French village built around a castle. One day out? Do not miss the city of Nancy (75 km)! Place Stanislas is one of Europe's most beautiful squares. Bar-le-Duc (50 km) is the capital of the department of the Meuse. Struin along the picturesque old houses and visit the characteristic ruin in the upper city. Neufchâteau (33 km) is a smaller town and is famous for its ancient crafts.